Janet Bolitho offers walking – and riding – tours in Port Melbourne, Montague, and Fishermans Bend. Port Walks are grounded in history, walk the present, and invite conversation about the future. 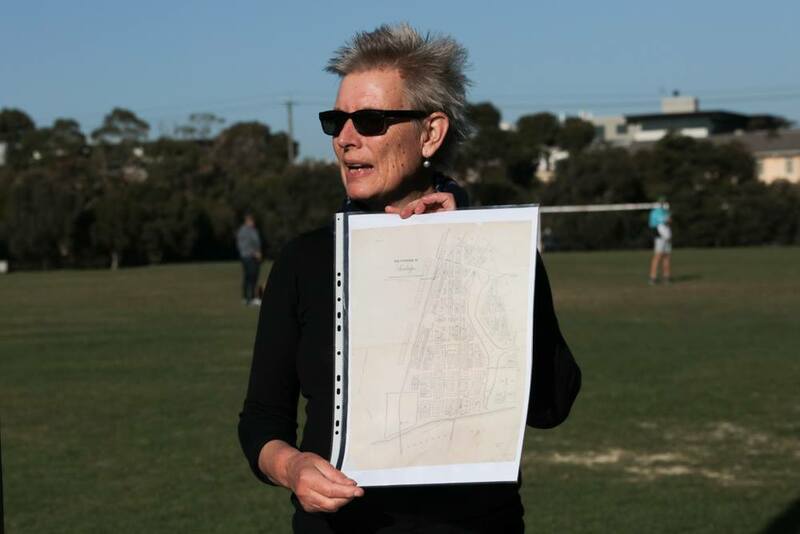 Janet is constantly researching the history of Port Melbourne and surrounds as well as keeping abreast of changes in the area and Fishermans Bend. She has a deep knowledge of the area. Through conversations with many former residents over the years, she has unique stories to share. If there is a theme you would like to explore, please contact me so that we can design a walk or a ride to suit your interests, time and energy. or $35 per person for 6 – 10 people. Janet has designed and delivered walking tours for over 10 years.